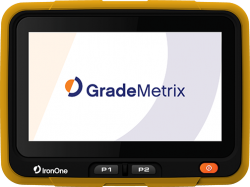 San Jose, California-based DT Research announced on January 9 the successful deployment of the DT391GS Rugged GNSS Tablets for the Oregon Department of Transportation (ODOT). The DT391GS tablets with Intel Celeron Dual Core Processors are used as Inspector Positioning Tablets with the critical hardware and software needed for line and grade determination on stakeless highway construction projects. • Hemisphere single frequency GNSS module (P103) with embedded antenna. Supports the L1 frequency from GPS features satellite-based augmentation systems (SBAS) support. • Hemisphere dual frequency GNSS module (P303) with embedded antenna. Supports dual frequency from GPS and GLONASS constellations. • Trimble single frequency GNSS module (BD910) with embedded antenna: Supports the L1 frequency from the GPS, GLONASS, Galileo, and Compass constellations. • Trimble triple frequency GNSS module (BD930) with embedded antenna: Supports both triple frequency from the GPS and GLONASS constellations plus dual frequency from BeiDou and Galileo. ODOT wanted to embrace the growing trend in highway construction sites to go “stakeless” and forego physical stakes by using modern Automated Machine Guidance (AMG) applications on jobsites to determine line and grade when building or fixing stretches of road. DT Research worked closely with ODOT to design purpose-built Inspector Positioning Tablets that inspectors and construction crews can use to run applications that contain GPS locating and 3D modeling technologies. The purpose-built Inspector Positioning Rugged Tablet solution has enabled ODOT to fully utilize its knowledge of the Oregon Real Time GNSS Network and expertise in survey grade Real-Time Kinematic (RTK) GNSS. With its four GNSS options, the tablet enables inspectors and construction crews to run applications that contain GPS locating and 3D modeling technologies to enhance construction efficiencies through advanced location referencing and employ a combination of 3D modeling to guide construction workers. The tablet is designed to deliver centimeter or sub meter accuracy and it supports the three SBASs — Wide Area Augmentation System (WAAS), European Geostationary Navigation Overlay Service (EGNOS), and MTSAT Satellite Augmentation System (MSAS). The purpose-built DT391GS Rugged Tablets are designed with a full survey grade RTK GNSS built-in for accuracies of +/0.05 ft., and the tablets can be handheld or used with an external antenna and rod. With a nine-inch backlight capacitive touch screen and Microsoft Windows 7 Professional operating system, the Inspector Positioning Tablets use Microsurvey FieldGenius software while also connecting to the Oregon Real Time Network, and can display XML files for alignment, surface and design files. With IP65 rating for water and dust resistance and MIL-STD-810G for shock and vibration protection, the DT391GS can hold up to Oregon weather and outdoor use by construction and maintenance crews, according to the company. It was at the 2017 Transportation Research Board Conference in Washington DC on January 9 that DT Research announced how the ODOT is using the purpose-built GPS Rugged Tablets for highway construction inspection with 3D modeling and has already saved them $12K.